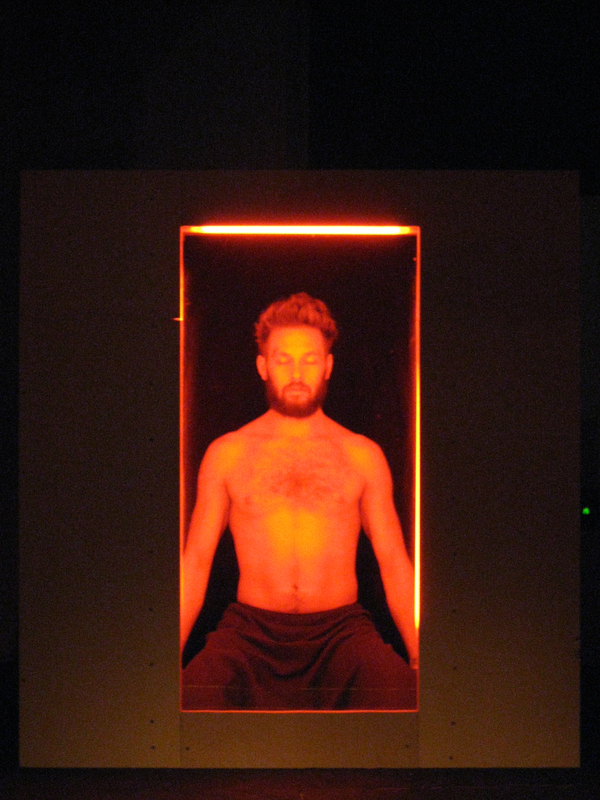 An Installation/performance at Nuit Blanche 2012. 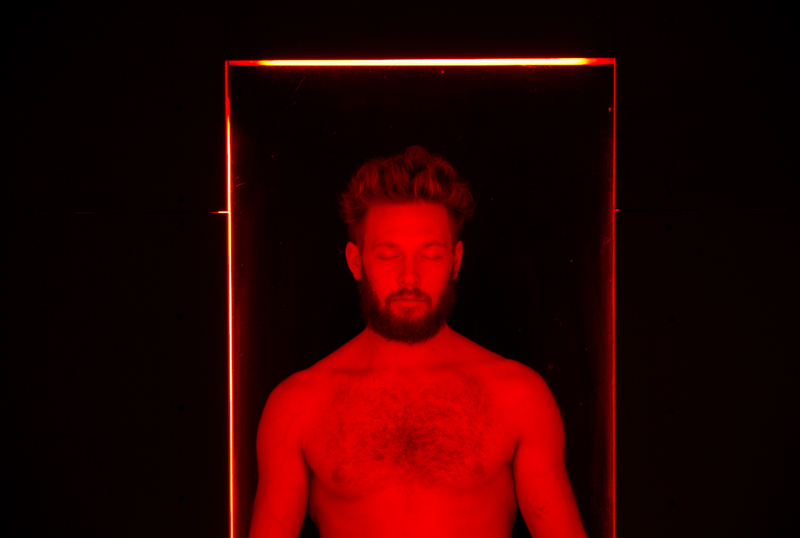 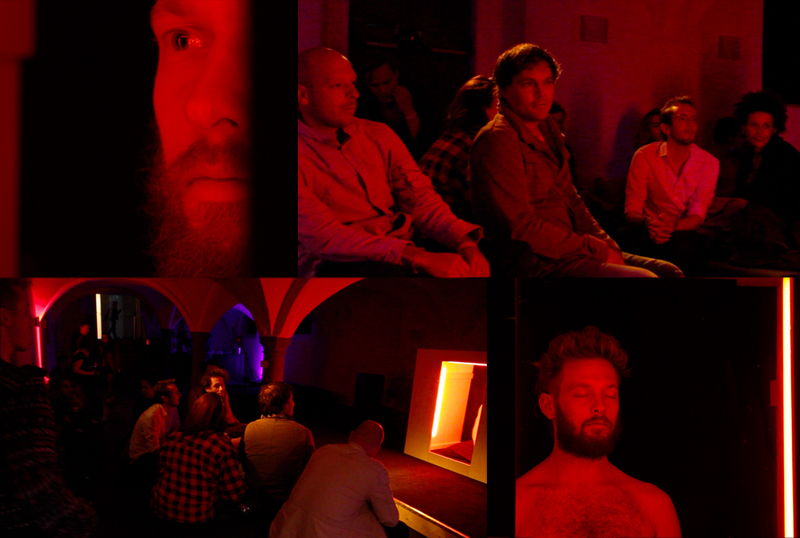 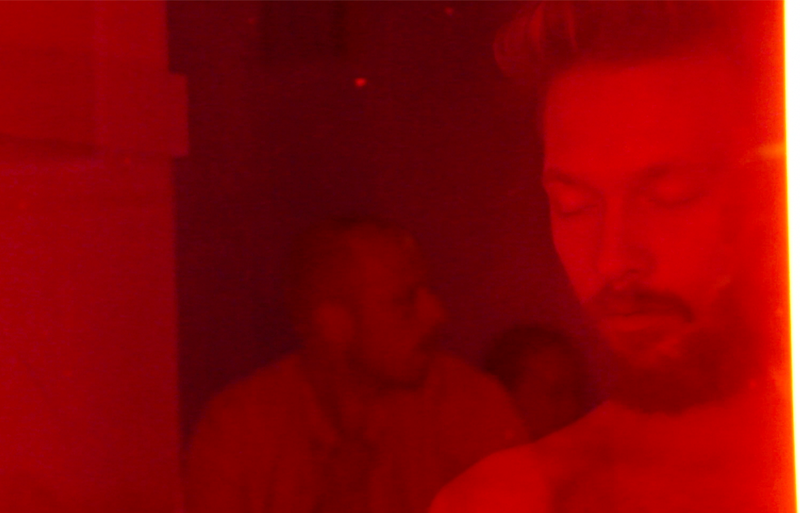 6 hours meditating in a box on a stage in the basement of the Bethanienklooster in Amsterdam. 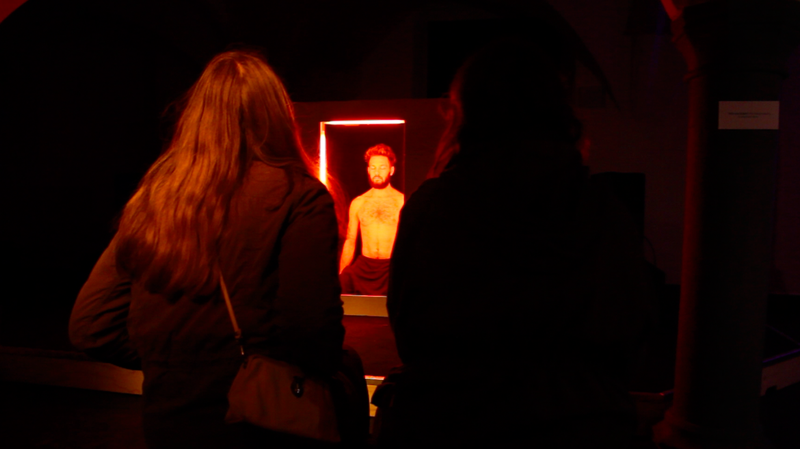 All the sounds of Nuit Blanche and his visitors, Red light radio, the upper room and the basement below picked up and projected onto the box.